My project studio has evolved over the years in four phases, pretty much mirroring the state of technology at the time. Notice a pattern? The only consistent piece of gear has been Cakewalk - and it's not even a piece of gear! Although some items from the Mk. II era still come in handy (ADATs make great A/D converters for example) most everything has been reduced to a few boxes that sit on my desk. Most. For the past few years I've been quietly adding analog gear to the mix, to the point where my current guitar signal chain is about 2/3 digital and 1/3 analog. Having exhausted just about all that one can do with software modelers, I've come to the conclusion that while they do beat most gear hands down, there's still room for improvement in the super-critical areas of saturation and speaker modeling. Of course, all the gear is irrelevant if you don't have songs to record - and this is where serendipity comes in. Not being a formula writer, (and sometimes I wish I was! ), all I can do is catalog my musical ideas when they arise. This could be while noodling, taking a shower, driving in the car, or waking up for a good night's sleep. Two sections might be song, three could be, and five definitely is. That's my rule of thumb - it takes at least Five Interesting Parts to make a decent song. By the time something feels ready to flesh out, I'll fire up SONAR and start comping guitar parts to a click track. 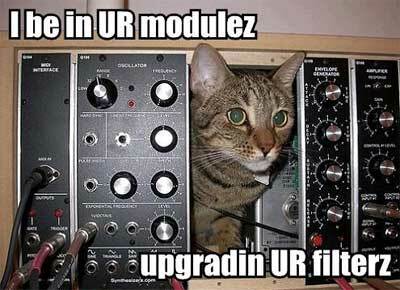 This is often followed by a MIDI arrangement, but as DAW programs evolve (hallelujah!) even audio editing has become flexible and MIDI-like. Still, I usually sequence things fully in order to help debug the arrangement in addition to providing guides for layering and transcription purposes. Tone-wise, the amp tones I create at recording time are for monitoring purposes only; the actual guitars are recorded clean (that's what the direct box is for) so I can REAMP them later and save my amp decisions for the final mix. The great thing about working with a DAW such as SONAR is that you have the luxury of working on small sections at a time. Envisioning an entire instrumental at once is just grueling - but coming up with 8 more interesting bars? Now that I can do. Copy 'n paste, connect the sections, layer things up, think like a drummer! The BOSS Book -Hal Leonard Corp. 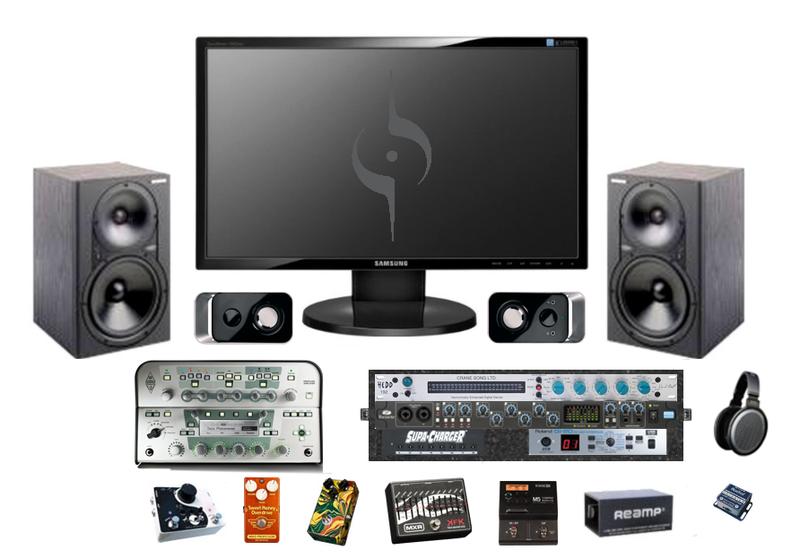 Personal Studio Series: The Complete Recording Guide - Discmakers. Free - with surprisingly good tips! Understanding Records: A Field Guide to Recording Practice - Jay Hodgson. "Lift" distortion? "Reinforcement" distortion? Lots of very recent book references - not old stuff! MIDI.ORG PDF Specs Archive (.zip) - finally you don't have to pay for these anymore! Also see here. Learning Matlab - The Mathworks, Inc.